This year, we will start publishing two comics collections per year instead of four. Our next anthology will be published on July 1, 2019, and the following will come out on January 1, 2020. Each of our semiannual anthologies will be about 120 pages—the size of two of our older quarterly anthologies. That means that we’ll be publishing just as many indie comics and fine art gorgeousness as before. And, since these collections will be much thicker, we’ll give them spines! This way, Oneshi Press fans can put their anthologies on the bookshelf to display and access them more easily. Our submissions deadlines have changed to reflect the switch, so please check them out right here! When we started publishing quarterly anthologies in 2017, we wanted to showcase amazing work, give our projects a place to shine, and foster a community of creators and readers. And, since we weren’t yet ready to publish standalone volumes of our own projects (like PACK, Tracy Queen, Children of Gaia, and Mr. Guy), printing four anthologies a year seemed like a great way to hit the ground running! 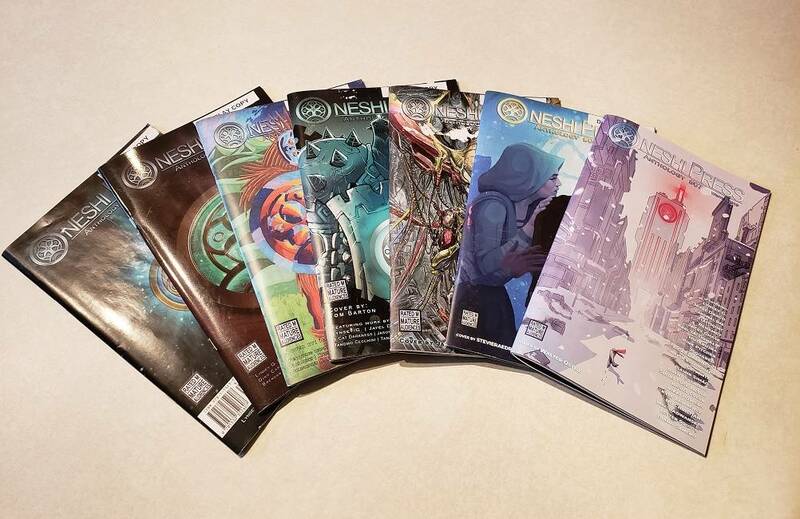 As of January 2019, we’ve proudly published seven quarterly anthologies, one illustrated fantasy novel, and one standalone comic book… But things are about to speed up. The first volume of Tracy Queen is on its way to our headquarters right now, and this year we’re planning to print a new issue of PACK, a new illustrated novel from the Children of Gaia universe, and the Mr. Guy art-thology. That’s a lot of indie content for our three-person team! With our publishing schedule so full, we want to be sure that we have the time, energy, and resources available to make each of these projects excellent. So, in order to maintain the integrity of each of our books, maintain a manageable publishing calendar, and keep our sanity, we decided to scale back the frequency of anthology publication. But we won’t scale back the quality! In fact, we’re excited at the prospect of having more time to focus on each anthology. We’ll be able to curate the perfect selection of comics and art and devote more energy to putting out a drop-dead gorgeous volume every six months. Thank you for your continued support, fans and friends! Keep your eyes open for more announcements as we move forward. In the meantime, we invite you to peruse our selection of books, merch, and art at the Oneshi Press Store, support our work at our Patreon; watch our live-streams at Twitch; and follow along on Facebook, Twitter, or Instagram! 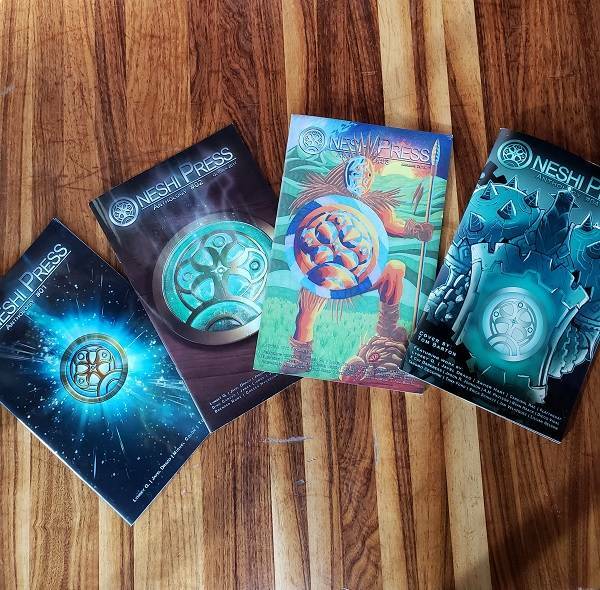 Get earlier issues of the Oneshi Press Anthology in print or digital! Check out our other Creator Interviews!